Hobson: [Holding up Tiffany's Bra] I wouldn't recommend letting him get used to your breasts dear, hes got an addictive personality. He was at mine till he was six. Hobson: Despite his best efforts. Let me start this off by saying that I have never seen the original Arthur. There is also no sense in me going over the plot or the differences between this and the original because that is covered in so many different reviews and I am guessing this isn't the only review that you will read. I am 29 years old and I wouldn't even consider myself a Russell Brand fan but after seeing this movie that is starting to change. I went into Arthur with an open mind. I did not have another movie to compare it to, since I didn't see the original, and I throughly enjoyed the movie. 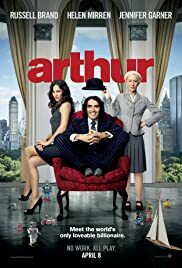 Russell Brand was OK in 'Forgetting Sarah Marshall' and I really didn't enjoy his movie "Get Him to the Greek" but Arthur was a different type of comedy compared to his typical work. The best thing I can compare this movie to is "The Wedding Singer". Not because of the plot or the actors but because "The Wedding Singer" put Adam Sandler in a slightly toned down more caring/romantic version of things had done before. There was less slap stick and I actually ended up liking Adam Sandler more because of it. The same can be said about Arthur. 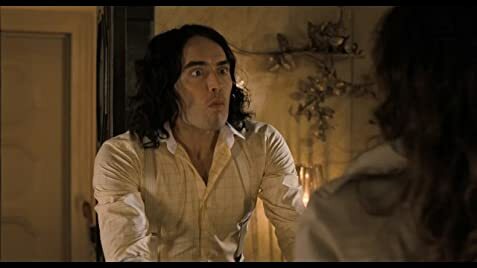 This isn't OVER THE TOP Russell Brand like most of his other movies. I wouldn't say it's 'down to earth' Russell Brand either, more like some place in between. Even if you have seen the original try to go to see this movie and not compare it to the original. It's the same as The Dark Knight vs Batman with Michael Keaton. Both were good movies but you couldn't really compare them. What surprised me at the end of the movie was my brother (32 years old) saying he actually liked this better than the original, which he watched last weekend. He said the one liners were better and Russell Brand made a more convincing drunk. My guess is because Russell is probably always this drunk when he isn't filming movies! Go see it. Turn your brain off for a bit and enjoy the movie for what it is. Don't compare it to the original but compare it to the other things Russell has done and you will see that he might actually have a great future at comedy ahead of him. 106 of 174 people found this review helpful. Was this review helpful to you?